DEVELOPMENT CAMP COVERAGE: Frozen Royalty begins its coverage of the Los Angeles Kings 2013 Development Camp with a story on 2011 third round draft pick Andy Andreoff, a left wing prospect who recently took the time to speak exclusively with Frozen Royalty. 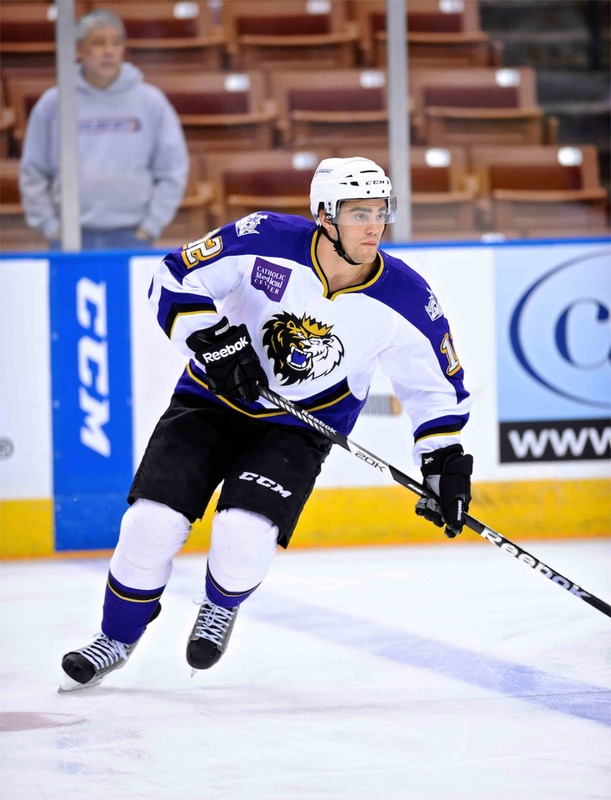 LA Kings left wing prospect Andy Andreoff, shown here during a game with the AHL’s Manchester Monarchs. LOS ANGELES — When left wing Andy Andreoff was selected by the Los Angeles Kings in the third round (80th overall) of the 2011 National Hockey League Entry Draft, they saw a player who possessed some surprising offensive skills for a rugged, gritty physical forward with a mean streak. Indeed, the 6-1, 201 pound native of Pickering, Ontario is built a bit like the proverbial fireplug, but it was that combination of attributes that caught the eyes of Kings scouts when he was with the Oshawa Generals of the Ontario Hockey League. 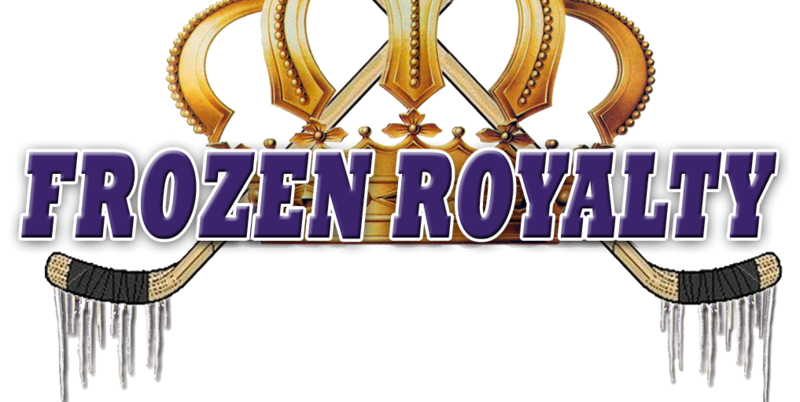 Frozen Royalty recently caught up with Andreoff for an exclusive interview to talk about his development and his first full season with the Manchester Monarchs of the American Hockey League (Kings’ primary minor league affiliate) this past season. Andreoff, 22, ended the 2012-13 regular season scoring 13 goals and adding 13 assists for 26 points, with a +1 plus/minus rating, and a team-leading 111 penalty minutes in 69 games. In the playoffs, he recorded three assists with a +2 rating in four games. Andreoff indicated that he improved as the season wore on, and as a result, he got more and more ice time, especially once right wing Tyler Toffoli made his way to the Kings to stay. Morris noted Andreoff’s increased role, based on improved play. Morris also took note of Andreoff’s ability to back up his physical play, but emphasized that he can do that and still make plays, something that not many tough guys in hockey are capable of. On December 31, 2012—New Year’s Eve, a date when most people are celebrating, Andreoff was definitely not loving life, not after elbowing Worcester Sharks left wing Curt Gogol in the head from behind, at 12:55 of the second period, in a game at the Verizon Wireless Arena in Manchester. On the play, Andreoff was skating back to the Monarchs bench when the two met in the neutral zone. Gogol left the ice on a stretcher, and was taken to a local hospital, while Andreoff received a match penalty (deliberate attempt to injure). The hit was indeed very dangerous, and could have resulted in a very serious injury. Fortunately, Gogol was not seriously injured, and was released from the hospital that same night. After the game, Worcester head coach Ron Sommer was reportedly incensed, but had no comment. Often times, in these kinds of incidents, the head coach of the guilty player will at least try to soften the blow, or even defend his player’s actions. But there was no defense for this hit, and Morris did not even try. In fact, he was somewhat critical of Andreoff. Days later, Andreoff was suspended by the AHL for three games. Although he left his player out there to take his lumps, Morris insisted that Andreoff is not a dirty player. Incidents like this one can be a big blow to a young player’s mental game, derailing their development, in some cases, for a short time, in other cases, permanently. But Andreoff does not appear to have suffered any ill effects. Andreoff’s first step and his skating have been something the Kings have wanted him to work on since he was drafted. “I can only get better from here, so I just have to keep working on that after practice, and during the summer, so I can get to the next level,” Andreoff added. Being stronger in puck battles along the boards and in the corners is another area the Kings are looking for improvement, and Andreoff has been working on this part of his game as well. Off the ice, his first year of professional hockey was a bit of an eye-opener. Cooking was quite the challenge for Andreoff, who was in quite the rut back in December 2012, when he last spoke with Frozen Royalty. At the time, Andreoff’s repertoire in the kitchen was limited to one dish: steak and green peppers, while roommate Tanner Pearson was able to cook several different dishes, mostly healthy entrees. Andreoff indicated that things have improved. Monarchs players who live in the same building include Marc André Cliche, Brian O’Neill and Jordan Weal. Any word on what day Development Camp will start? Tomorrow or Monday maybe? Or is it going to be on a “need to know” basis? The Kings haven’t announced the exact date. I’m guessing Monday, but it could be Sunday. They haven’t even announced the times for the on-ice sessions, although an educated guess would be 8:00 AM, 9:45 AM, and 3:00 PM, or thereabouts.